Susan Lavrakas is dedicated to making the public more aware of STEM education and its importance to the nation’s future. The Director of Workforce for Aerospace Industries Association (AIA) joined the organization to put all of her energy into focusing on STEM education after a 40 year career in National Security Affairs. Her career in the defense industry began at Northrop Grumman and prior to her current role at AIA, she worked in Government Relations at BAE Systems. Lavrakas spoke to WashingtonExec about what prompted her to get involved in the STEM community, what role AIA plays in bringing STEM awareness to the public, how our nation’s future economy and security depends on STEM education, what role the Arts plays in the quality of life, and how mentors are the “secret sauce” in guiding young people to be successful in their future careers. WashingtonExec: You have had a 40-year career in National Security Affairs. What exactly prompted you to join AIA in 2011 as well as the National Girls Collaborative Project and focus solely on STEM education? 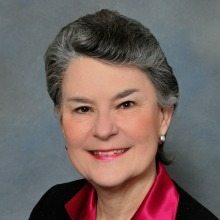 Susan Lavrakas: I first became aware of the science, technology, engineering and mathematics (STEM) education and workforce challenge in our country in 2006, when I was asked to represent my then-employer BAE Systems on a new committee that the Aerospace Industries Association was forming to address the issue. With baby boomers retiring in the coming decade, aerospace and defense companies are facing a crisis in recruiting sufficient numbers of qualified Americans to fill the jobs that will be opening. Many of our best jobs require security clearances, so they cannot be shipped overseas or filled with foreign nationals. The more I learned about it, the more persuaded I became that there is no more important issue for the future of our nation and the well-being of our people. We must get more Americans pursuing and performing well in math, science, engineering and technology fields in order for our country to be economically competitive and secure in the 21st century. Americans must understand that everyone will need basic STEM literacy just to get a job in the increasingly global economy. I joined the staff at AIA in January 2011 to devote all my working energies to these objectives. I believe that progress in addressing the workforce challenge can be made through more intentional efforts to reach young people. We need to engage all students in ways that they find meaningful, nurture their personal talents and interests, and help them work past social stereotypes of gender and ethnicity. So, I have become involved with groups like the National Girls Collaborative Project that seek to do just that. For instance, though my background is in political science and international relations, physics came naturally to me and I did very well in it. However, it never crossed my mind to turn that aptitude and interest into a career. With the proper outreach, we can draw a broader array of American youth into our industry. WashingtonExec: What exactly is the reasoning behind women, girls and minorities being underrepresented in the STEM community? Susan Lavrakas: Our society is still subject to and perpetuates stereotypes that STEM subjects are too hard for most people; that girls and minorities are not as capable of succeeding in those courses and careers; and that really smart, competent people are not fun or cool. Despite lots of evidence to the contrary, these prevailing attitudes shape expectations, perceptions and choices. To change behavior, we need to confront the stereotypes head on and encourage individuals to develop and fulfill their real talents and interests regardless of gender or ethnicity. WashingtonExec: What role does AIA play in bringing more awareness of STEM education to the public? Susan Lavrakas: AIA and our member companies have worked for several years to raise the visibility of this issue, since growing the future STEM workforce is one of our highest priorities. Our approach is to communicate and collaborate with other industry groups and affected stakeholders such as government at federal, state and local levels; academia; the philanthropic community and school systems. We have been partnering with the National Defense Industrial Association to hold four STEM meetings each year in different states around the country. We also drove the formation of the Business and Industry STEM Education Coalition, a dynamic affiliation of dozens of industry groups seeking to collaborate for more effectiveness in developing and attracting the future workforce. One of the members of BISEC is the Entertainment Industries Council, which is working to spread the message about the importance of and opportunities in STEM fields to the general public through film, television, and the news media. WashingtonExec: You served on the Board of Virginians for Arts and are currently a member of the Board of the Arts Council of Fairfax County. How did you get involved with those and why? Susan Lavrakas: I have a lifelong love of music, as does my husband who writes plays and musical theater. We know that one’s job provides a living but enjoyment of and involvement in the arts make for a deeper, richer life. Arts education also fosters creativity and innovative approaches to problems of all kinds. Serving on the boards of arts organizations has been a satisfying way for me to give back and support the quality of life in our community. WashingtonExec: Did you have any mentors throughout your career? In what ways do STEM students benefit from mentors? Susan Lavrakas: I have benefited from the wisdom and advice of numerous supervisors and role models in my career, but never had specific mentors. The concept and the availability of professional women as mentors were not prevalent when I started my career more than forty years ago. Today I am convinced that mentors are the “secret sauce” in helping young people navigate to suitable and rewarding professional lives. Mentors can provide everything from recommendations on courses to study and extra-curricular activities to join, to explaining what career options might be most attractive and how to overcome obstacles along the way to the student’s goal. Mentors can also play a role in helping the student develop confidence and interpersonal skills like communications and teamwork that employers need. WashingtonExec: What was the last good book you’ve read? What book would you recommend for STEM students to read? Susan Lavrakas: I have always found biographies to be the most inspiring books. The stories of real people and how they experienced and dealt with real challenges and joys speak to me. Know Your Power by Nancy Pelosi made a big impression on me. I recommend that students read all kinds of biographies to have the benefit of other people’s life experiences and learn from history. Biographies of people like Steve Jobs who have excelled in STEM seem the most obvious, but any real human experience is worth understanding.